Meet Katie Reid, a young woman with a good job and a good life, until she discovers it was all a lie. Now, her desperate search for the truth begins and it will change her forever. Compelled to dig into a past no one wants to relive, Katie soon turns to Detective Marshall Avery. 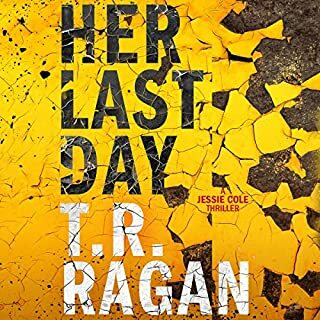 He is the only one willing to give her the resources she needs to find answers, but those answers could come at a steep price. When her search breathes new life into an old monster. 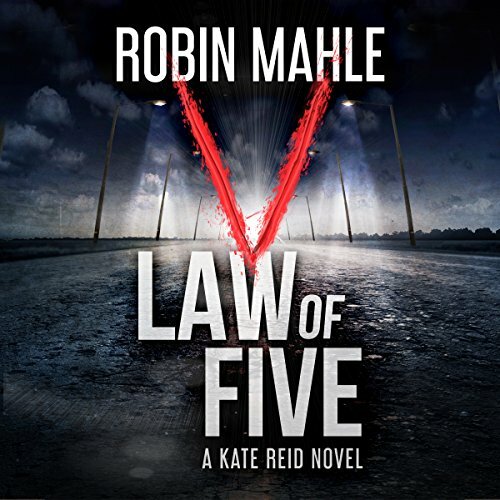 From the author of the Amazon Top 100 best-selling Kate Reid series, comes the second installment, Law of Five. The nationwide manhunt for a killer begins and the media quickly dubs him the "Highway Hunter". Bodies left roadside on display with horrific markings; a calling card. But this case is miles away from Katie Reid and her life with Detective Marshall Avery. 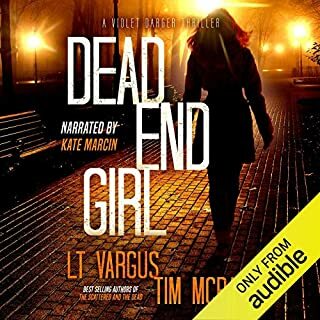 That is, until she gets the call from her old friend and reporter Marc Aguilar, who believes that the killer could be coming their way. With Katie's work at the San Diego Police Department and her recent personal struggles, questions are raised about the future. She resists the urge to consider Marc's request, knowing Marshall will insist that this isn't their fight. However, when an acquaintance is suspected of a murder all-too-similar to that of the so-called Highway Hunter, a dark shadow is cast upon the city. Now, the investigation is dropped at the doorstep of the SDPD, and so is Katie's friend, FBI Agent Nick Scarborough. With growing evidence suggesting there could be more than one killer, four lives have already been taken. Who will be number five? I have found a new favorite character in Kate Reid. I need to get to the next book in the series. The ending wasn't what I expected, but it made me want the next book as soon as possible. The narration was the best of any I have listened to so far. Lisa Kelly's pacing was perfection. The pauses were exactly what was needed in every case. Another great Kate Reid story!! I like the book, the story line is good but needs a different narrator. The one that does the narration for this book just reads it in a monotone with no differences in her voice for the characters. This was a great book. I was sucked in and couldn’t put it down. This book also broke my heart. I can’t wait for the next book. The 2nd book in the series, keeps referencing events in book 1 but doesn't even bother to provide a summary of what happened. It leaves the reader wondering what they are talking about but not enough to want to read book 1. Kept my interest from beginning to end! Lots of surprises. Excellent narrator. Sorry I missed the first book. I am a disabled woman with a great deal of time. I love reading books. This is a fantastic read. I unfortunately bought book two so now when I get paid I'll be sure to buy the first book and the third to finish the trophy. Keep writing this series please. It's delightful as and old friend. The story had begun adventurous enough. There's a character going along their merry way until boom, a body is located and, later, found to be murdered. However, the murder is no so-called "ordinary" murder. Its just one in a series that are taking place. And this killer has somewhat of a specific method to the killing, which includes carving the Roman numeral five into the body. I was wrapped up in it from the start. 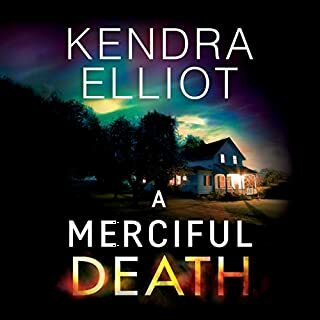 Also, the main character is Kate Reid, a young woman working for the authorities, who has apparently gone through a hellish ordeal at a previous point and, it seems, has yet to fully heal and process. As expected, everyone's worried about her, particularly her boyfriend, Detective Marshall Avery. Despite this, she takes an active role in the investigations into the killer's identity. Marshall's and Kate's conversation with each other would sometimes grate on my nerves because they just annoyed me sometimes. She's obviously not okay but keeps saying she is and he's always trying to shield her from something. The whole time I'm going "Girl, you're not fine. You're not even close to it. It's okay to admit that to someone you love" and "Dude, I know you want to protect her, but back off a little. I'm getting smothered just listening." That being said, I was more into the investigation itself and the twists and turns that came of it than the unfolding drama between these two or even Kate's connection to it. A lot of the time, the latter two factors felt more like filler to me. 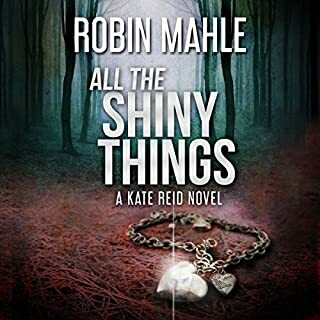 In all honesty, I can't speak for the others in the series because I haven't read them yet, but I'd venture to say that for much of the book, it could have worked with or without Kate Reid. Even so, as their particular section of the story progress, my heart leapt, hurt, did all sorts of things. Mostly hurt. It was just all too real. On the murder investigation side, I won't give that away but I'll tell you that no one is who they seem. I thought I figured out the killer and I was so, so wrong. In closing, the mysteries of Law of Five are written masterfully well. 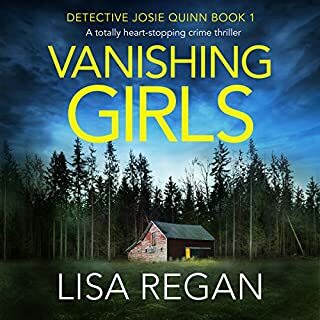 Robin Mahle builds one heck of suspenseful ride and Lisa Kelly, a narrator which I am new to, is an amazing addition. 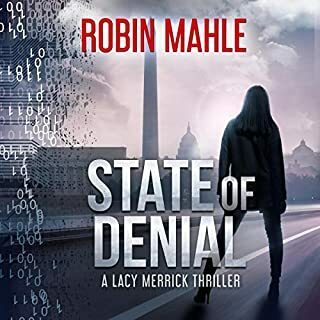 I'll have to be reading and listening to more of Robin Mahle's and also Lisa Kelly's works in the near future. I loved the first book,and was expecting the same with this one. Too Much ordinary talking etc. Mystery and suspense missing from this book. Narration was good; story was boring!